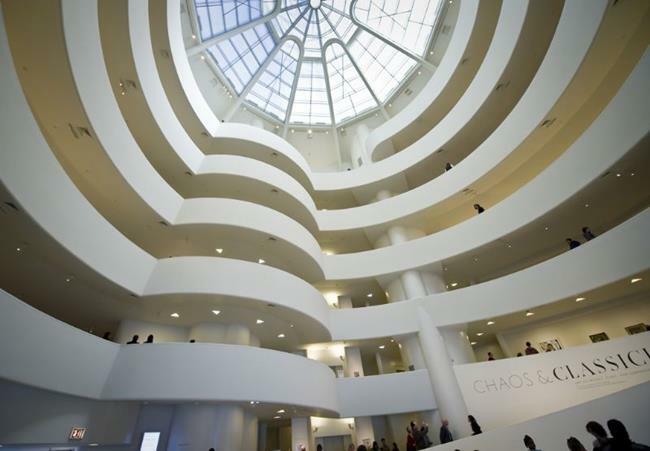 This photo was taken in the lobby of the Guggenheim Museum in NYC. The spiraling platforms are like open arms ready to embrace the art lover. Take note of the text in the lower right corner.